9 Jun, 2014 - 4:31 PM by Glenn. The first nominations of Big Brother: Power Trip have been revealed. 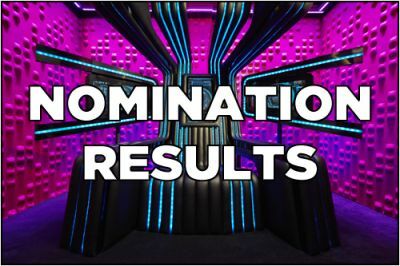 These are the results from yesterday's first round of nominations. Tune into Big Brother: Power Trip tonight where Power Housemate, Pauline will make her Killer Nomination.